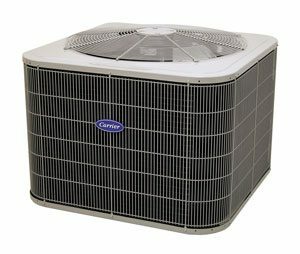 Aurora, IL Air Conditioning Repair and Cooling - RJ Kuhn, Inc.
How is your home or office cooling system running in Aurora? Has it been erratic or malfunctioning? Or perhaps it just needs a tune-up as part of proactive maintenance that ensures it operates correctly when you need it to. 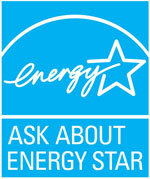 RJ Kuhn specializes in cooling service and air conditioning repair for Aurora, IL customers. We’ve been serving your area since 1972, so we know Aurora’s different residential and commercial cooling systems. We’re also well versed on the most current cooling solutions for your home or office. As your city’s dedicated service partner, we ensure you understand what’s functioning properly with your cooling system and what isn’t. If your system isn’t functioning correctly, we can diagnose whether air conditioning repair is a cost-effective solution or if the unit should be replaced. Our assessments often save our Aurora customers from hundreds to thousands of dollars. An RJ Kuhn cooling technician can advise you on anything from a small adjustment to air conditioner replacement based on dependability, energy efficiency and price. Our Kuhn Care maintenance program further offers our Aurora cooling customers special benefits. As a program member, you can save 30% on service-call parts and labor and avoid costly overtime charges through extended service hours. Be sure to ask us more about it! RJ Kuhn’s cooling service and air conditioning repair for Aurora, IL ensures you’re relaxed and comfortable when the temperatures rise. Call us at (630) 554-3336 today to speak with an expert about what you need for your home or office. Inquire about our Kuhn Care program as well!